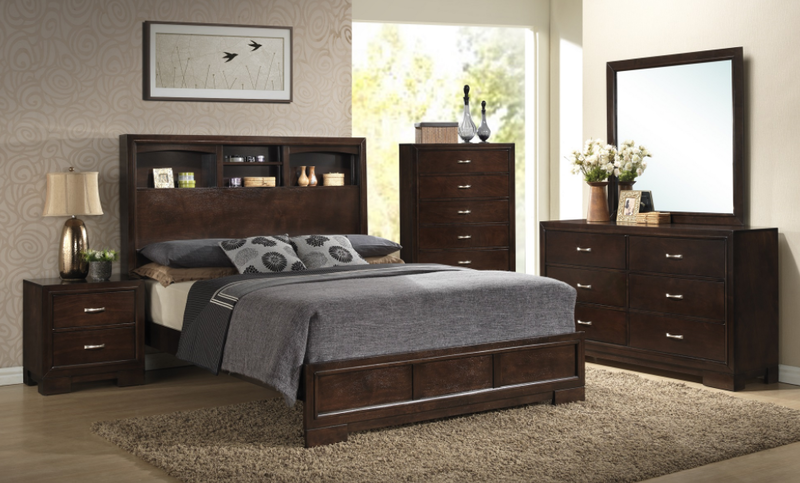 Misor Bedroom Set includes: Queen Bed, Night Stand, Dresser, Mirror, Chest. 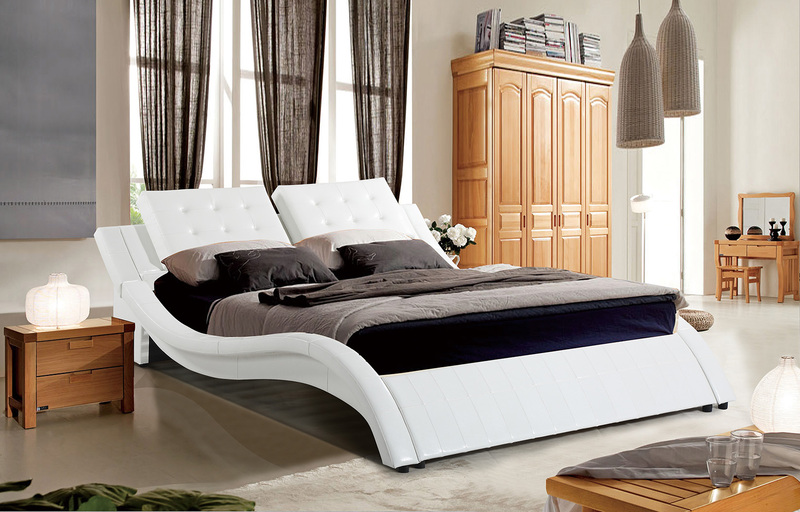 The bed is also available in King size. Crafted with a Modern style, this grouping is designed with fashion and functionality in mind. 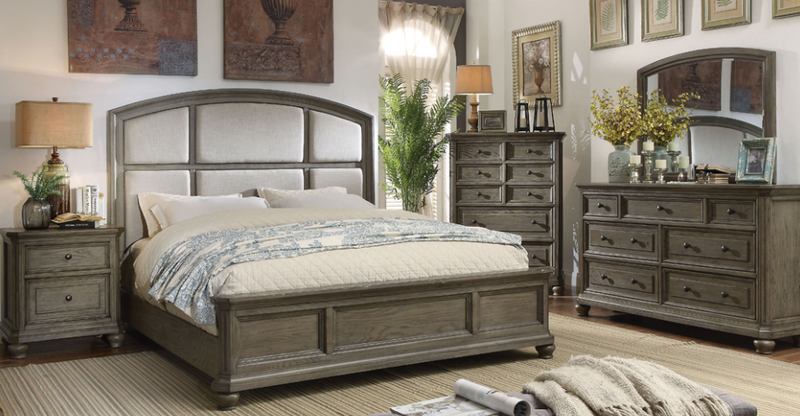 Dresser, chest and nightstand are with metal drawers. Clean lines and gentle curves give a visually interesting look to each case piece. 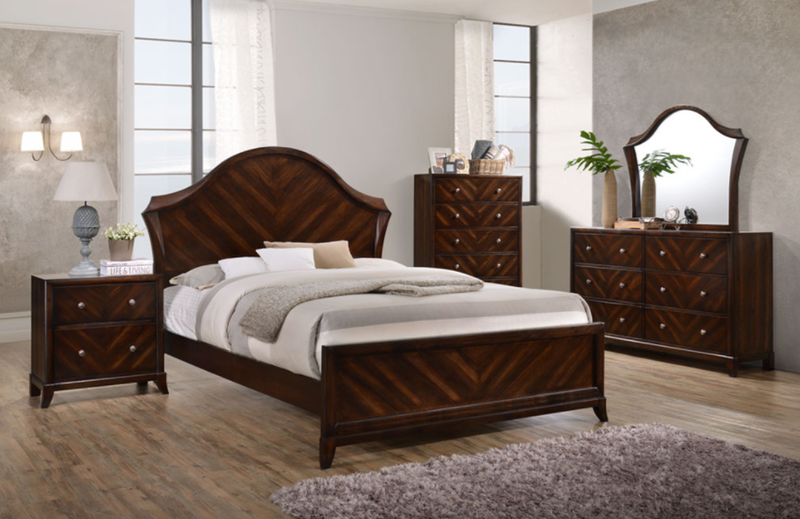 Add this bed to your home to create a calming and inviting bedroom with lots of style.